I'm sure many of you are thinking about Christmas outfits. Some of you see this outfit and think, "I wish I could do this." Other than the jacket, which I didn't make, you can with two SquigglyTwigs patterns. The patterns are on sale, 50% off, through Sunday. How?? Keep reading. This blouse was made using the Fun and Easy Knit Top/Dress Pattern. Because I used a woven (from a polyester ladies blouse), I made two pattern adjustments. The first adjustment was the key hole opening in the back with the button loop closure. I used a bias cut trim piece to trim out the neckline and keyhole. 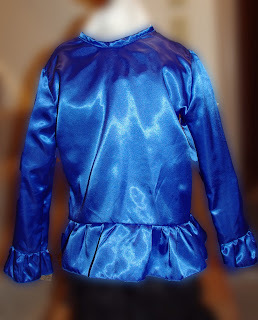 The second adjustment was to add some fullness for gathering the top of the sleeve. I added the fullness by adding 1" to the width of the top of the sleeve. The gathered sleeve top allows it to fit nicely into the armhole. 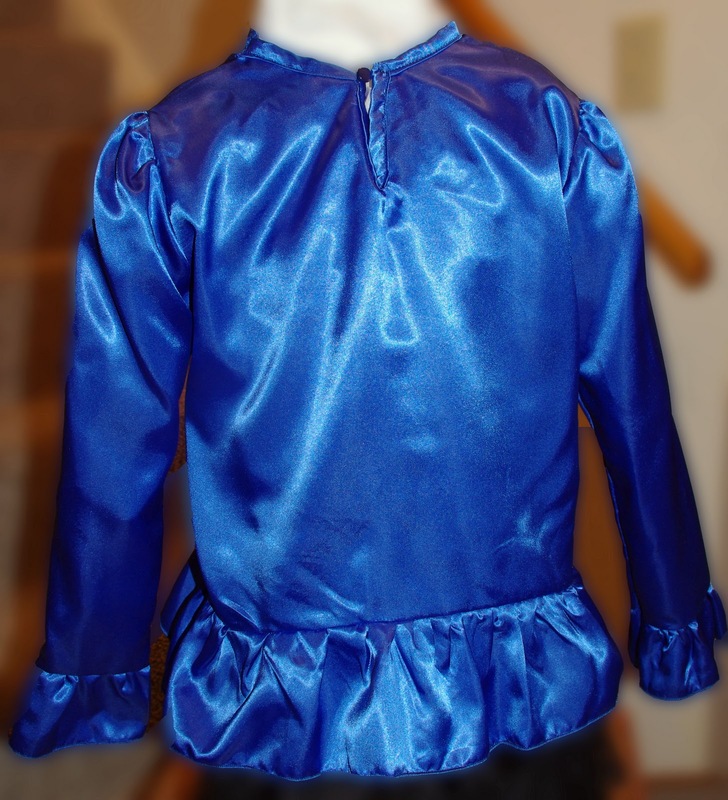 I also added a ruffle to the bottom hem, and sleeve hems. These ruffles were made at 1.5 times the circumference of the sleeve and shirt hemlines. A Pretty Peasant blouse would also work nicely with this outfit, and is one of our easiest patterns. The skirt is one of my favorites. 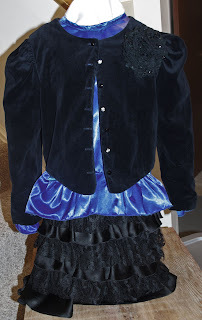 We used our Lot's of Ruffles Skirt Pattern. The original Lots of Ruffles Skirt was made of knit and has a fun and casual look. Both skirts were made with the exact same pattern, without variation, yet look so different. This skirt is made of easy care fabrics, yet looks fancy. 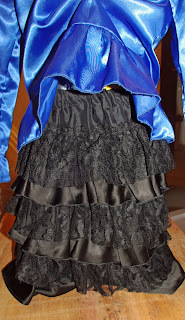 We used polyester satin, and lace to create this skirt. (Our fabrics actually came from a couple of formals, but these fabrics are available at the fabric store also.) The key to making these fabrics easy care, is to launder it before sewing. We hemmed our satin layers with our serger. But, they won't fray if you cut them on the bias (45 degree) angle to the selvage. 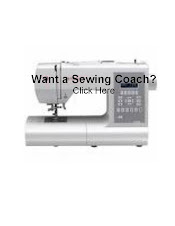 You can also hem the layers by turning the edge under twice. This skirt, which is just below the knee, took 3/4 yard of each layer fabric and 1/2 yard for the lining. This yardage is for a size 4T wide and size 8 long. The pattern will help you determine exactly the yardage you'd need for your custom skirt. These are just two of the wonderful things you can make and wear for Christmas from SquigglyTwigs patterns, which can be purchased for instant download in our right-hand column. Don't miss the sale opportunity. Use Christmas as the code at checkout to get 50% off your pattern order before Midnight ET Sunday.